It’s incredible how some people have been able to generate massive amounts of money while starting from scratch. Old money is easy enough to understand, you’ve just got to keep your vast fortune, but creating a dynasty from nothing is something to be commended. Not only is starting from zero a huge challenge financially, but you have to overcome limiting beliefs and negative naysayers along the way. The following individuals must have had a strong sense of self-worth and the ability to ignore their surroundings until they reached the ultimate goal. In order to reach such heights, each of these people must have made changes in their lives to create a more positive outcome. They had to get fed up with their current lifestyle and create a dream of something bigger. Only they didn’t stop at small or even big success, they swung for the fences and now have more money than most people on the planet. With so much negative news in the world it’s a good idea to send positive messages to your brain that show the sky’s the limit when you are an entrepreneur. Opening your mind to the possibility of creating massive success from square one can work wonders on your current situation. Even if you are already somewhat successful, seeing how others didn’t settle for moderate success can help boost you to the next level. 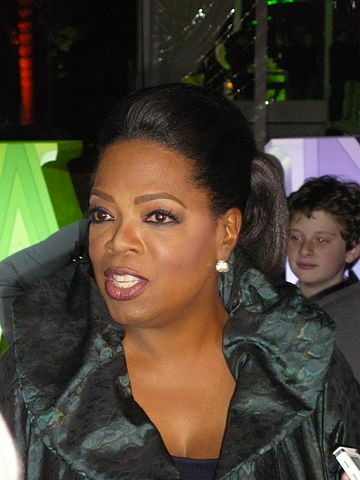 Oprah Winfrey is quite remarkable because she not only started with very little money, she also had to get over being a woman in a male-dominated business world and overcome racial stereotyping at every step. She was able to successfully parlay her TV show into a range of businesses that include a monthly magazine, her own TV Network, and much more. John Paul Dejoria was sleeping in his car when he first co-founded the Paul Mitchell company of hair products. And he didn’t stop there, he is also the co-founder of Patron tequila, showing off his ability to become a success in two completely different Industries. Most of us don’t have to deal with being homeless as we pursue our entrepreneurial endeavors, but it’s nice to know that even from such humble beginnings great success can be achieved. Larry Ellison wasn’t born with a silver spoon in his mouth, on the contrary he was adopted by his aunt because his parents couldn’t afford to keep him. He started off as a programmer and then started his own company based off of an idea he had for a database management system. The rest is history and now he is one of the richest men in the world after founding Oracle and buying up several other companies. The next time you’re faced with a big challenge and feel like the road to success is all uphill, be sure to read rags to riches success stories to reinvigorate you and motivate you to new levels of success.